Winter property inventory levels are much lower than in the spring, so there are fewer properties that you are competing with. Many property owners think that they should wait until spring to sell, so if you wait, you’ll be in competition with all the other spring sellers. However, the buyers looking now will be buying now, they won’t be waiting until spring. You may not have as many showings during the winter, but winter buyers are typically very serious. You have to really want to buy a house to get out in the frigid temps to house hunt! The beginning of the year is a busy month for job transfers and those clients have a short period to find a house. Even the people who aren’t out physically looking at property are online looking at listings and the listing that coaxes them outside for a showing might as well be yours! Winter is a traditionally slower time in the real estate industry. If you’re buying or selling during the winter, it’s good news for you. Many of the vendors such as title reps, surveyors, appraisers, inspectors and lenders aren’t as busy during the winter months, so you’ll receive faster service, which makes for a faster closing. Buying a home is a big goal and for some, it is their new years resolution. The “New Years buyers” start looking in January so they can make their dream come true! If you are waiting for Spring, the New Year buyers may have already purchased and moved in! 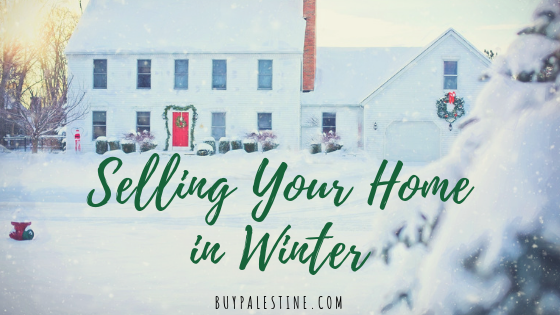 There are upsides and downsides to selling anytime of year, but overall the downsides to listing in the winter months are minimal. Sure, it’s not the best time to show off your perfect grass or the pristine swimming pool, but there are so many benefits as well. The truth of it is, the best time to list your house is the day you’re ready to move. After all, you can’t move if it isn’t listed yet!